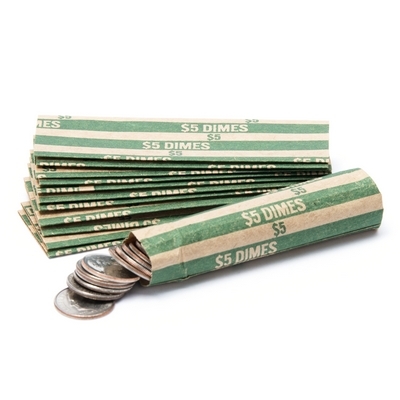 "Dime Flat Striped Coin Wrappers" product is already in your cart. Designed for convenient dime storage. 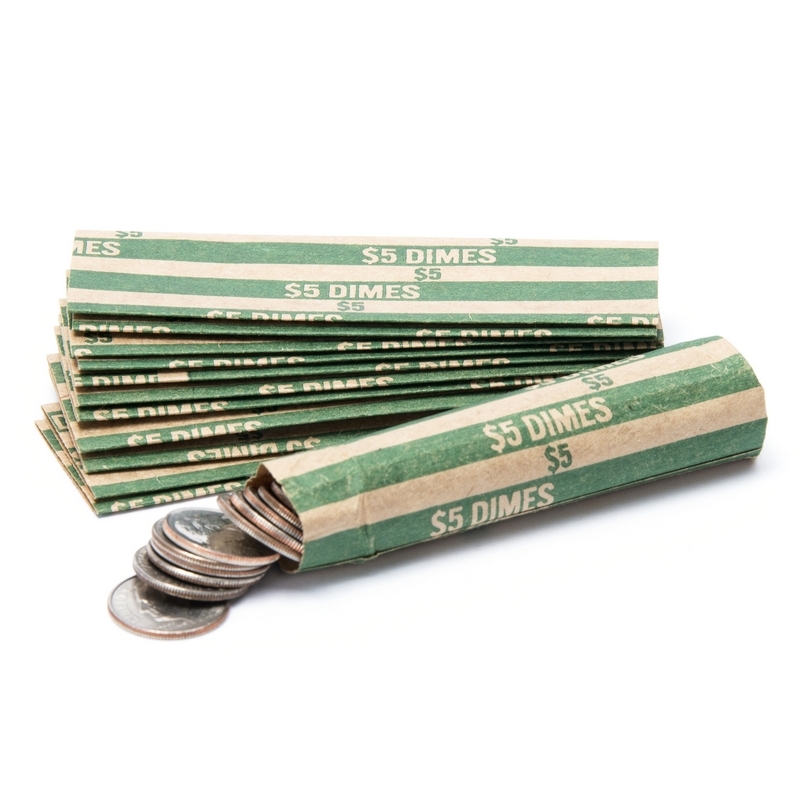 Each wrapper is color-coded with a stripe containing the denomination and roll total for easy viewing and recognition. Flat wrappers pop open with just a squeeze when using, and lay flat for easier storage. Each flat coin wrapper is designed for a perfect fit of it's denomination and weld-seam gluing provides a strong secure bond on each wrapper. Made with natural, durable 60# kraft paper these wrappers use bright, standard colors that are ecologically safe.